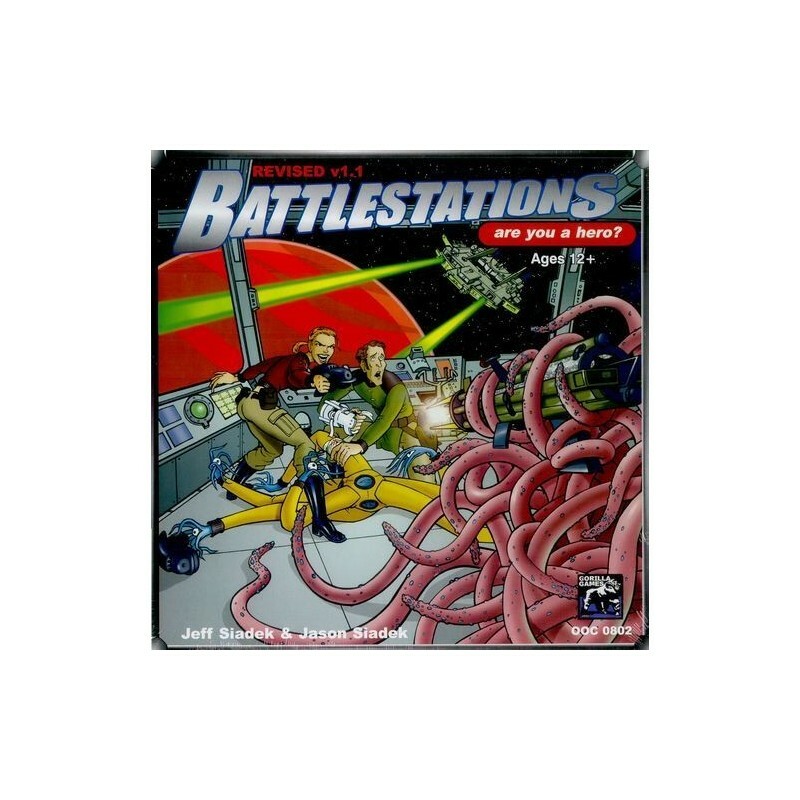 > Jeux de Société>Imports jeux de société>Battlestations 1.1 - Are you a Hero ? 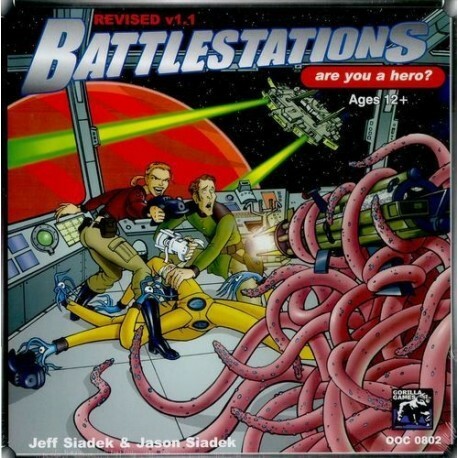 En savoir plus sur Battlestations 1.1 - Are you a Hero ? 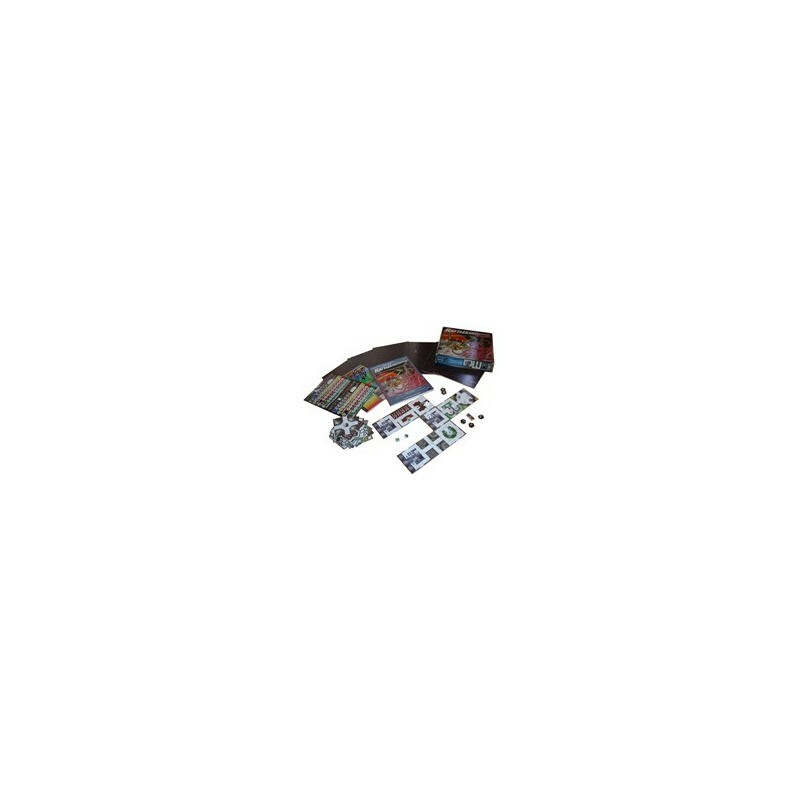 Simultaneous Ship to Ship Combat and Boarding Action simulator with light role-playing. "You and your friends each play the role of a crew member on a starship that faces whatever grief the referee throws at you. You'll blast enemies, pull outrageous maneuvers, unlock the secrets of alien cultures, and crank the last bit of juice out of an overtaxed engine while trying not to get yourself, your crew, or your starship blown to bits in the process." Battlestations allows players to operate a star ship acting as the crew. Players can be a Marine, Pilot, Scientist or Engineer. They move about the ship drawing power from the engines and putting it into guns, shields and helm. They can fire missiles and cannons at enemy ships. The ship can be maneuvered through asteroid filled battlefields. Scanning for information and using electric counter measures are all part of the action. The game uses two types of boards, both using tiles to build an large number of different designs. One board is made up of a black hex map and ship/planet tokens track where everything is in relation to each other in space. The other tiles are used to build a space ship which can be a scout or a full planet bombarding dreadnought. The players place their character on the tiles forming the ship and move them around to operate the components from engines to hyper-drives to science bays to guns. Fight from a distance or close in and conduct boarding actions. Recreate major space battles, or challenge players by forcing them to fight off a pirate incursion with pistols and rifles. 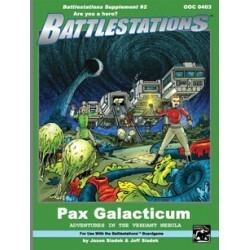 Battlestations is played by having one player playing the role of referee as Game Master. The other players create characters who will man a capital star ship and try to accomplish missions for the Galactic Federation. This game is only limited by your creativity. Don't miss out on a a chance to experience a truly unique game. Avis sur Battlestations 1.1 - Are you a Hero ?